A drink formula as simple and clean as the classic whiskey old-fashioned has inspired countless drinks over the years. It's the perfect base to build on, giving us plenty of room for experimentation, layers of flavor and all sorts of alterations. Whether you're in the mood for a bright summer twist or want to take care of that pumpkin craving come fall, we have a few fun recipes for you to explore. Let these serve as inspiration as you take your old-fashioned down any road you like. We can begin by exploring the original alternatives to whiskey. 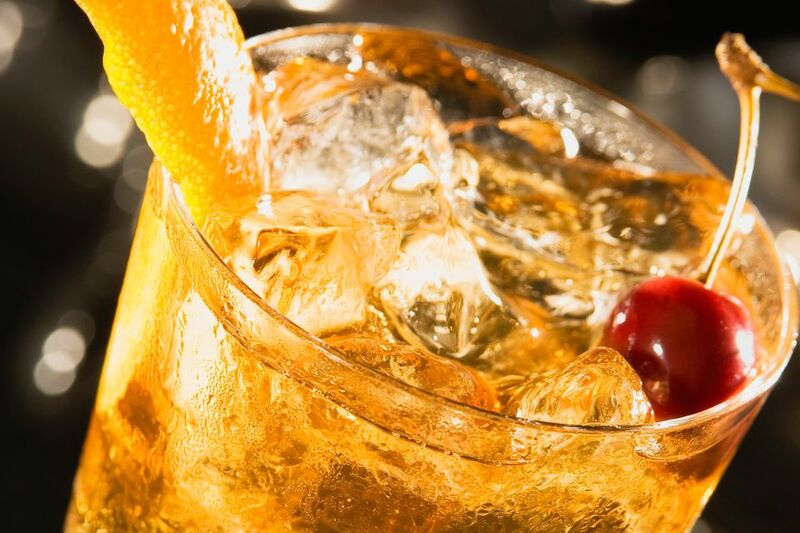 History tells us that the old-fashioned was not relegated to whiskey alone. Instead, drinkers in the mid-1800s had their choice of whiskey, Old Tom or "Holland" gin (an old name for the Dutch genever) or brandy. The brandy old-fashioned remains a favorite today and you'll find many devoted fans of this recipe if you travel to Wisconsin. It's similar to the whiskey version but smooth and sultry as only brandy can be. It's not an old recipe, but tequila does make a great base spirit as well. The reposado old-fashioned recipe shows you how that's possible. This recipe begins by changing up the fruit. Where the whiskey old-fashioned uses an orange and cherry, the tequila variation opts for nectarines and ​bing cherries. It also requires a reposado tequila so you get a nice, gentle oak flavor. In the middle of winter, consider adding steam to the whiskey mix and make a comforting warm old-fashioned. It's very similar to the favorite whiskey cocktail, but the open aroma will delight your senses. This old-fashioned recipe goes back to soaking a sugar cube with bitters, then muddling orange, cherry and a splash of soda. Pour a shot of bourbon and top it with hot water and your soothing winter sipper is ready. 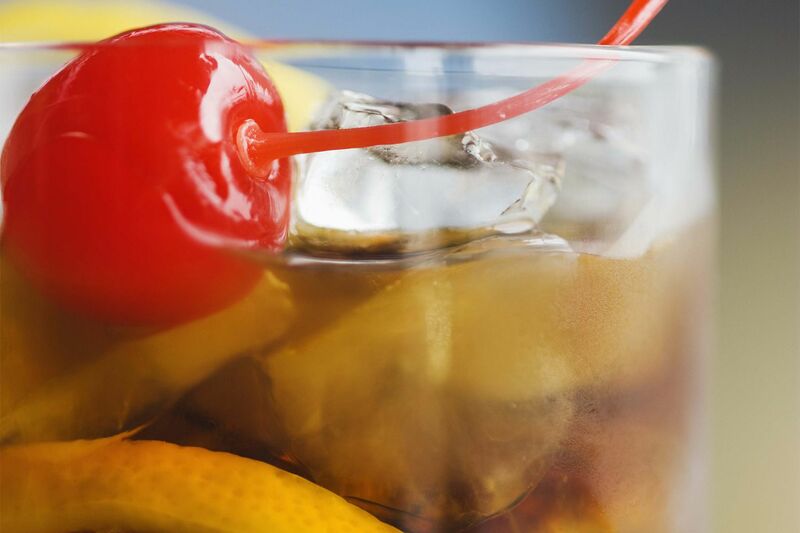 Here's where we start adding a variety of flavors to the old-fashioned. What better way to begin than with a little chocolate? This recipe will appeal to those bartenders who can't resist homemade ingredients. The cocoa old-fashioned revolves around a cocoa-infused rye whiskey. It requires three days with roasted cacao beans and it is wonderful. You can also use your favorite brandied cherry recipe and mix up some rich demerara syrup to complete the DIY drink. ​What if we add a shot of espresso to the chocolate-laden old-fashioned? Pure magic in a glass! The coffee old-fashioned is a recipe that deserves attention and it's actually quite simple to make. Choose your favorite bourbon and pick up a bottle of ​creme de cacao. Brew and chill a little espresso, then add syrup, water, and orange bitters. Shake it all up and enjoy this flavorful old-fashioned with an extra kick. Most old-fashioned recipes tend to have a darker flavor profile, but the new old-fashioned brightens things up. It's the perfect cocktail for summer, especially when peaches reach their peak. For this recipe, you'll muddle a couple of peach slices with syrup and bitters before adding bourbon. Add another peach slice, some blackberries then top it with sparkling water. It's refreshing, colorful and sparkling; simply a brilliant cocktail. For many of us, autumn weather brings on a craving for great whiskey drinks and we turn to icons like the old-fashioned. If you want to take that to a new level of seasonal perfection, we have some recipes for you. The old-fashioned 101 is a fun cocktail that plays up fall tastes like few others. Here you'll find apple cider, brown sugar, sage, saffron, and amaretto. Add the old-fashioned's orange, cherry, and bourbon and consider your autumn complete. When you want to get very seasonal, recipes like the butternut old-fashioned are unique, fun and a true cocktail adventure. Butternut, you ask? Yes, we are talking about the squash and we're even going to roast it. You will have to start this incredible cocktail a week ahead by infusing the squash then infusing it into a vivacious bourbon. The rest of the cocktail is rather simple, requiring maple syrup and bitters. Bring it to the Thanksgiving table and win over everyone. The real flavor of fall? Pumpkin, of course! If you're into pumpkin-izing everything as the leaves begin to fall, you'll need a taste of the pumpkin old-fashioned. This recipe is incredibly easy and you only need to add a pumpkin puree to get the drink's signature flavor. Maple syrup and bourbon are back, and Grand Marnier adds a citrus twist. Don't forget the rosemary garnish because it infuses the drink as you sip. After all that modern bar craftsmanship, we're going to finish this off with another old-school recipe. The whiskey smash is an often forgotten gem from the 1800s and it's a bit old-fashioned meets mint julep. You'll love it. Simplicity reigns in classic cocktails and this recipe is no different. You'll choose your favorite bourbon, grab your bottle of homemade simple syrup, cut up a lemon and score some spearmint. Muddle, shake, strain and shazam! You have a blast from the past.